I’ve been reading blogs on BMWBlog, Bimmerpost, and elsewhere and decided to compile the information about the next BMW M3 and M4. Photos are from Car Scoops. “Pure” will have 444 horsepower and the drive train will offer real wheel drive with a manual transmission. The wheels will be staggered, with 18 inch front wheels and 19 inch rear wheels. Optional 19 inch front wheels and 20 inch rear wheels will be available. Note: This badging is not unprecedented as it is already available via BMW Australia. “Base” will have 475 horsepower with an xDrive drivetrain fitted to a ZF automatic transmission. Not the current Getrag DCT, but an automatic with a torque converter. The wheels will be staggered, with 18 inch front wheels and 19 inch rear wheels. Optional 19 inch front wheels and 20 inch rear wheels wheels will be available. 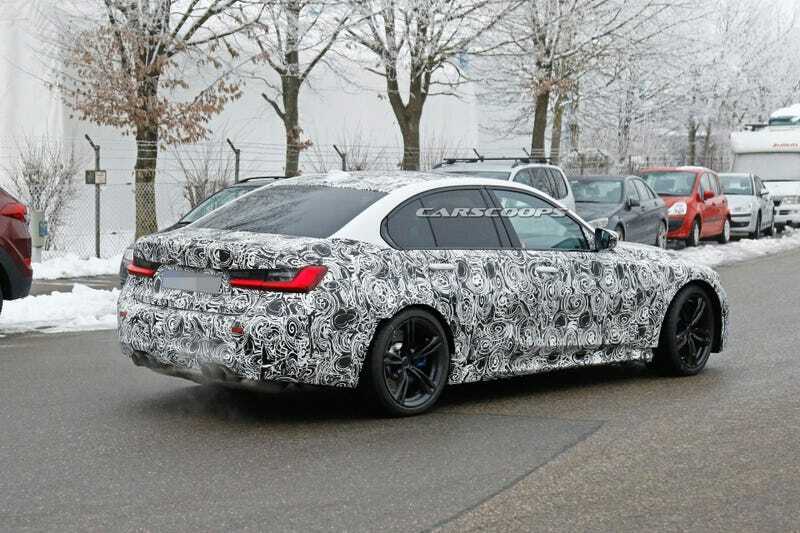 Speculation is that the xDrive will be similar to the current M5, in which, it can be rear wheel drive if all the settings are in sport mode. The “Competition” model will come out after the Pure and Base cars and will have 500 horsepower. The drivetrain combination is not clear yet. The wheels will be staggered, with 19 inch front wheels and 20 inch rear wheels. Standard equipment for all models will include a M differential, adaptive suspension, specialized M seats, and a live dashboard (personally, I prefer black and orange). What do you all think? I’m interested in a Pure, but in all likelihood I will buy a CPO F80 M3 or an M2 next because I’m too cheap to buy myself a new car.